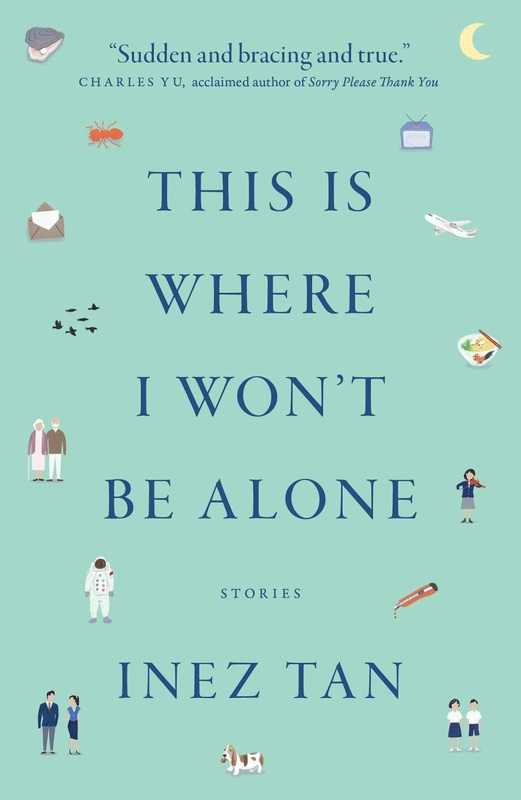 This Is Where I Won’t Be Alone: Stories launched in Singapore this weekend at Kinokuniya’s main store. Carissa Foo, who wrote If It Were Up to Mrs Dada (Epigram Books, 2018) led a discussion with the collection’s author, Inez Tan. Inez spoke about the inspiration for the first two stories in the anthology, “Edison and Curie,” and “Oyster”. “Edison and Curie,” is about a pair of twins who differ greatly in their academic aptitude. The story is psychologically complex, exploring different aspects of identity, success, and coming of age. Inez explained that this story was born from a “collision” of different experiences and ideas. In particular, she spoke of Einstein’s famous twin paradox as an initial catalyst for the creation of “Edison and Curie”. The next story in the collection, “Oyster,” is grounded in a more personal experience. Inez began writing it after her mother gifted her some dried oysters to take back to the United States. Although “Oyster” was inspired by a real-world incident, the story itself brings us out of reality and into the imaginary realm of an oyster’s thoughts. The oyster arrives into a family fridge, and its unfamiliarity with our world gives us an interesting perspective on human relationships. Along with talking about how her stories start, Inez discussed the later stages of composition. She also writes poetry, and she said that doing so has impacted her prose style. Poetry has led her to “demand more of language” and search for greater precision with words. She spoke of how she continually revised the final line of “Edison and Curie” until she found the exact phrase that she wanted. When I read the collection afterwards, her words were brought back to me as I came across sentences such as, “The darkness and dawn were equally weak, tingeing the weedy garden the colour of an old bruise”. This sentence, from "The Colony", masterfully transforms an emotional description of the night sky into a private image of the garden below. The way that this extract fits into the rest of the narrative, creating a particular mood that lingers throughout, expresses Inez Tan’s deep dedication to accuracy of language. Inez’s deliberate style is combined with themes of culture, community, and the search for home. 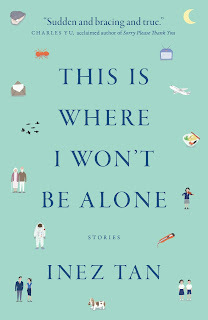 There are stories that will be especially funny for those of us who grew up or live in Singapore (“Tragic Flaws” is one of my favourites), however the stories display a humanity and tenderness that will make them enjoyable for all. Details: This Is Where I Won’t Be Alone: Stories is available online from Epigram Books and Localbooks.